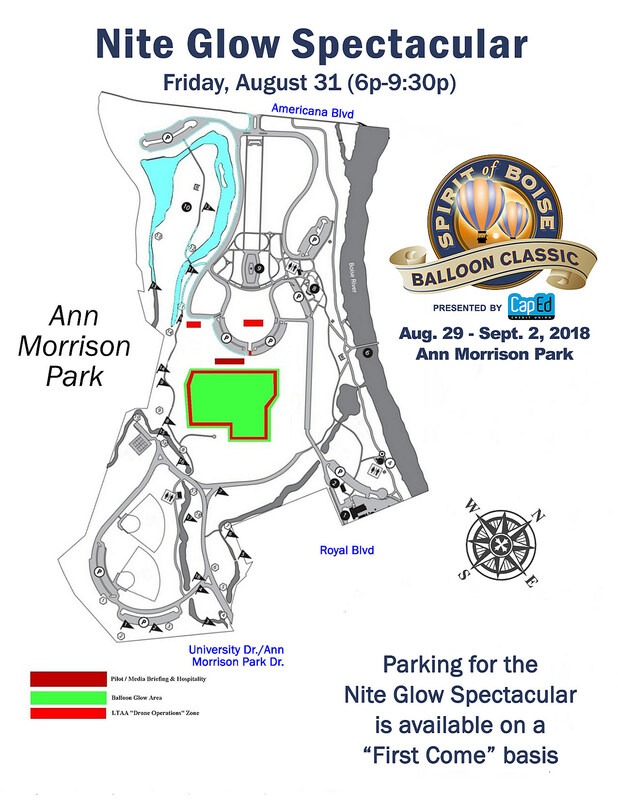 We look forward to welcoming you to the 2018 Spirit of Boise Balloon Classic! This is a FREE event so we invite you to bring the entire family! Before you head over, make sure you look over our parking and event map for this year - as areas have changed from previous years. 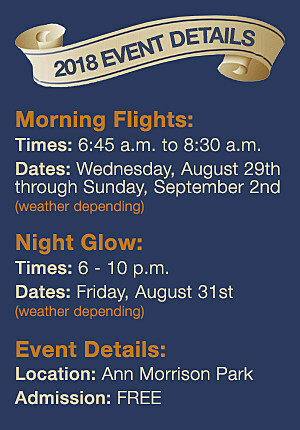 Guests have three points of entry for this year’s event. 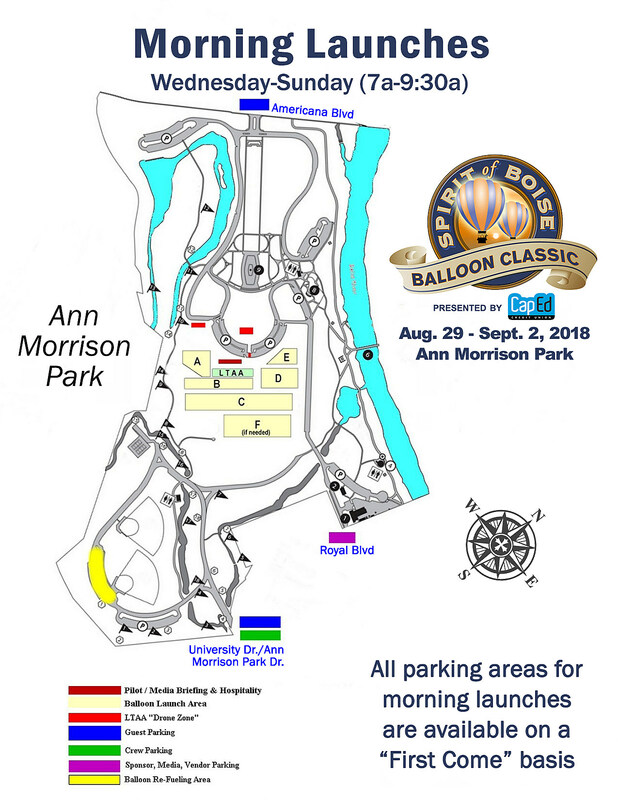 Guests can enter the park from Americana Blvd (west end of the park) and either Royal Blvd or University Dr/Ann Morrison Park Dr. entrances (east end of the park). These entrances are available for free parking on a first come, first served basis only. BSU students should note, the park will be closed to student parking each morning. For the “Nite Glow Spectacular” on Friday night, the same parking basics apply. Enter early and on a first come, first served basis. We know our guests have their ‘family traditions’ when it comes to the “Nite Glow” so we won’t pretend to tell you how to go about parking and entering the park. It’s going to be crowded.